Right before I left the U.S., I got a haircut. 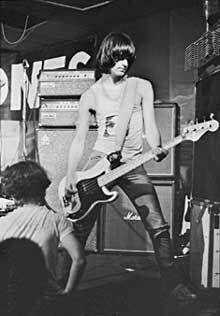 The guy who’s been cutting my hair for the past year in Portland, Oregon looked strikingly like Dee Dee Ramone, and he gave a great haircut. His advice to me upon heading to Kosovo was to find a “Japanese dude” in Pristina to cut my hair, because you can never go wrong with a Japanese barber he said. This very specific advice was followed by, “And if you can’t find a Japanese guy,” good addendum, “Then ask whomever you find to point-cut your hair. It will give your head the texture that it desperately needs.” Amongst this good advice, Dee Dee failed to tell me how to say “point-cut” in Albanian—or Japanese for that matter. To be honest, I’ve been putting off a haircut for two months now. I have this groundless fear that any new barber will massacre the very standard and non-unique haircut I have. This fear is groundless for two reasons: 1. I’ve never had a scaring haircut—emotionally or physically; and 2. Hair grows back. With this groundless and irrational fear in the back of my mind, I have passed by an old man and his 3 foot by 5 foot barber shop every time I leave my house. I resolved early after my arrival that that man would cut my hair, no matter the consequences. This barbershop, I use the term loosely, has no sign, phone number for reservations, or hours of operation. You know the shop is open because the barber is either there working or waiting to work or drinking tea next door. It is unclear to me if he even has a fixed schedule. On this day, the barber was sitting in his chair, starring off. And there I was, like a small kid standing on the edge of the high dive for the first time; I took a deep breath and turned left into his store front. The barber met me with a grin and a handshake. He’s an older man, maybe in his 70s. Cardigan clad and bespectacled, he was sitting in the shop's only chair, an old, wobbly, and torn desk chair. It was something you would buy for $20 at Staples, or the communist alternative: Staple. Taking my coat and hanging it on a white and rust toned rack, he asked me, in Albanian, what I wanted. In anticipation of this moment, I had practiced the phrase “the same, but shorter” for more than two weeks. I also had a plan b: if he was unable to understand my Albanian, I would make a cutting gesture with my fingers and say “two centimeters” (dy centimetra). This latter plan required me to relearn the metric system, but that is a different shortcoming for a different story. As the well rehearsed words—Njejtë por më shkurt—stuttered off of my tongue, it was clear he was going to do what he was going to do, my requests—and Albanian—be damned. He put a blue smock over me and tightened it harshly around my neck. To the right of me was a sink that perpetually ran and a small table with his clippers from the 1980s alongside a few of his barbering knick knacks. To my left was a small, dated space heater with a yellow kettle on it. The kettle was to offset the absence of a hot water tap, a necessity for his straight razor shaves. Before the haircut even started, my Albanian vocabulary had been tapped dry. So, when he asked another question, I just assumed he was saying what I was thinking. I answered, “Po” (yes), and he got to clipping. Focused on my Albanian, I had forgotten about my groundless and now imminent fear. When the clippers revved, and I watched them travel to my temple at half-speed, I knew that this was it. As the barber moved his way around my scalp, he kept looking out the window, paying little attention to the job at hand. Albanian men have a unique type of ADHD that doesn’t allow them to miss a moment to acknowledge an acquaintance. This includes, but is not limited to, stopping your car in the middle of a street to honk your horn and start a conversation, pausing a transaction you are in to wave at a neighbor, and, as it turns out, trusting your sixth sense to cut hair while you wait for a friend to walk by your store. I don't know what Dee Dee would have thought. Once he moved from clippers to scissors, there was constant motion. The scissors, like Pac-Man, endlessly gnawed away at my hair and everything else. They never stopped moving. In this flurry of movement, he dropped his yellow, 1-in-3 tooth missing, plastic comb on the floor. Without missing a beat, he picked up the comb and got back to work. You are now likely thinking what I was thinking; and no, Kosovo doesn't have Barbicide. Nearing the end, he took a small white bottle and dripped the odorless, colorless, and textureless contents onto my head. I’m pretty sure it was water, but I don’t actually know. He gruffly brushed off the back of my neck with a small, stiff hair brush. Then, he took off the blue cape, blood rushed back to my head, and he fixed my collar. As I got up and reached for my coat, he stopped me and took a hand-held floor broom to my back, before helping me put my coat on. Point cutting must be extra, I thought, but keeping my fears groundless is priceless.